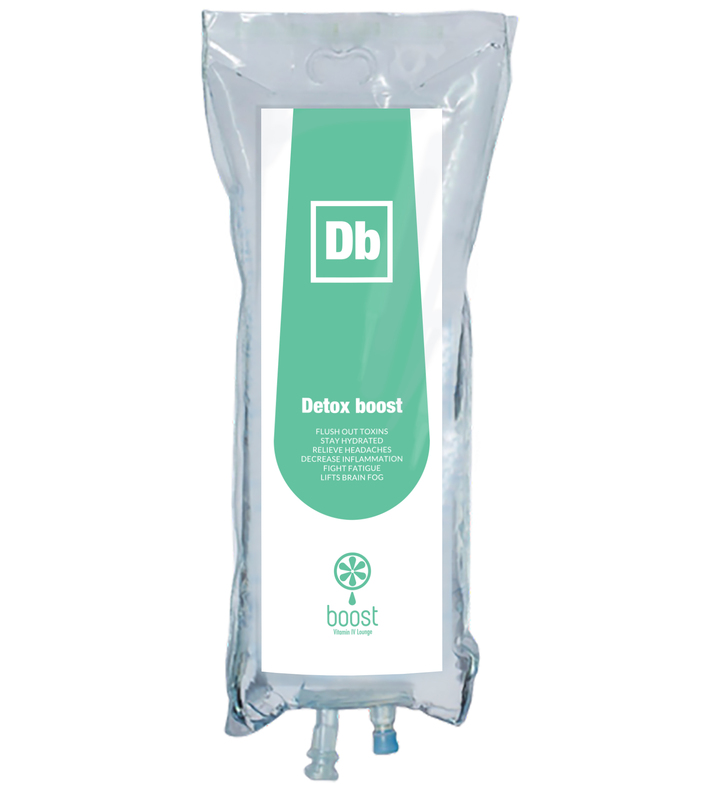 Detox Boost is a Vitamin IV Therapy that facilitates detox, strengthens your immune system, and keeps you feeling refreshed. It is an overall energizer, helping to optimize both your physical and neurological performance. How Does Detox Boost Vitamin IV Therapy Work? Detox Boost includes ingredients that help your body in many cellular functions including combating muscle weakness and fending off fatigue. Its antioxidant properties help reduce inflammation while working to detoxify the liver and remove free radicals from the body. Q: What should I expect from Vitamin IV Therapy? A: Vitamin IV Therapy helps deliver minerals and amino acids to your body for maximum absorption. If you continuously use Vitamin IV Therapy, you are proactively maintaining optimum wellness. Q: How does Vitamin IV Therapy Work? A: Much like oral supplements, Vitamin IV Therapy focuses on providing your body with vitamins and nutrients. However, our body only absorbs 20% of the nutrients in oral supplements–the rest are filtered by our digestive system. With Vitamin IV Therapy, nutrients are administered directly into your bloodstream, bypassing your digestive system. The result is 100% cell absorption. Q: Does Vitamin IV Therapy hurt? A: You will feel a slight pinch as the needle enters your vein, then a cool rush as the fluids enter your body. Q: How long does one Vitamin IV Therapy session take? A: A 500ml Vitamin IV Therapy requires 30-45 minutes and a one-litre therapy requires 45-60 minutes.